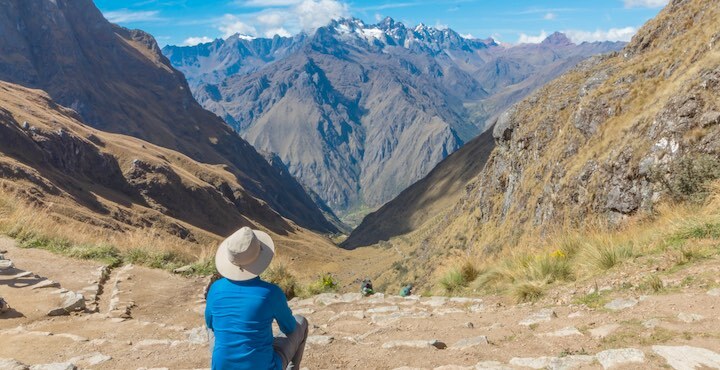 This is our ultimate Inca Trail itinerary. 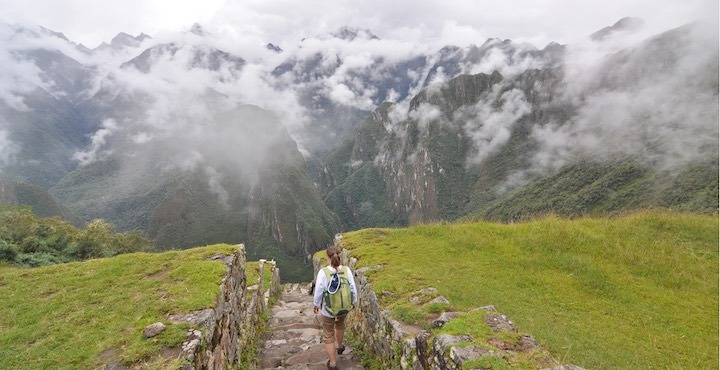 You will probably only ever do the Inca Trail once – so why not do it properly! 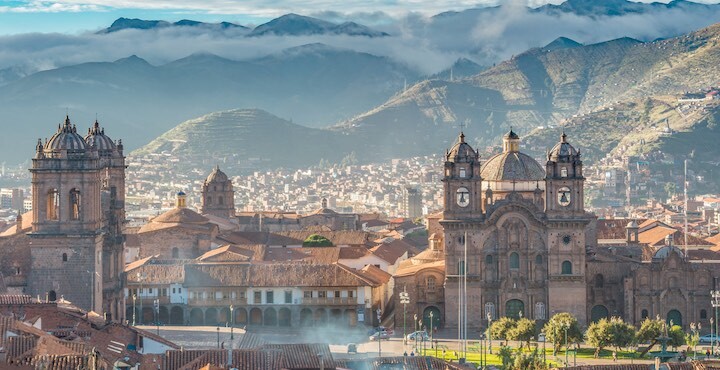 Our trip includes essential acclimatisation hikes and the main highlights of Cusco and the Sacred Valley in a way that is designed to avoid the crowds. On our Complete Inca Trail trip the iconic hike is done in five days, avoiding the majority of the large groups that rush through in four days. We also contribute to the reforestation of the Sacred Valley by planting one tree per person per day for every day that you are on this trip! 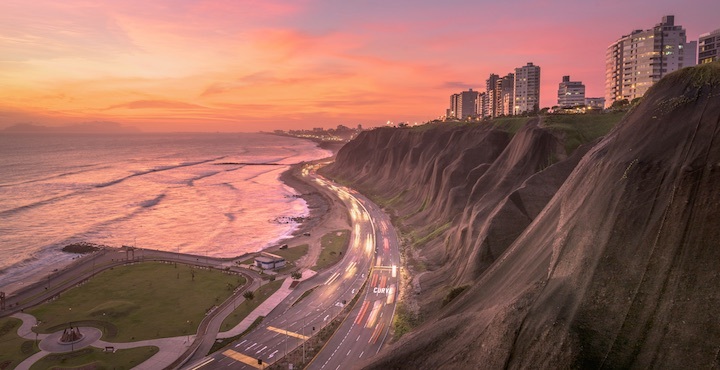 On arrival to Lima you will be met at the airport by your English speaking guide and driver who will welcome you to Peru, help you with your luggage and take you by private transfer straight to your hotel. The drive takes about 45 minutes depending on traffic. You will be met at your hotel after breakfast by your private guide for your half day guided tour of Lima. You start the tour in the historic centre of the city and the impressive main plaza that has been protected by UNESCO. The government palace, city hall and cathedral are all located here and are fine examples of Lima’s colonial architecture. Accompanied by your guide, you will visit the 16th century Convento de Santo Domingo. This is a wonderfully preserved monastery and from the tower you get a fantastic view of the city. After this you continue to the Larco Herrera museum in the Puebo Libre district. This is one of the city’s most prestigious museums which houses the country’s finest collection of gold and silver from ancient Peru. There are also many other displays of Pre-Columbian artifacts, ceramics and jewelry. At the end of the tour you have the chance to try a traditional dessert made with a local fruit, the lucuma, before being returned to your hotel. Private transfer from your hotel to the airport for your direct flight to Cusco. Exact flight times to be confirmed. Flight duration about 1 hour 30 minutes. On arrival to Cusco you will be met at the airport and taken by private transfer to your hotel (about a 20 minute drive). After checking in, go over to the coffee museum for 1pm where you will meet the other members of your small group that you will be with for the next nine days. Enjoy a tasty lunch whilst learning about the origins of coffee. After lunch enjoy a leisurely stroll around the historic centre of Cusco accompanied by your knowledgable local guide. 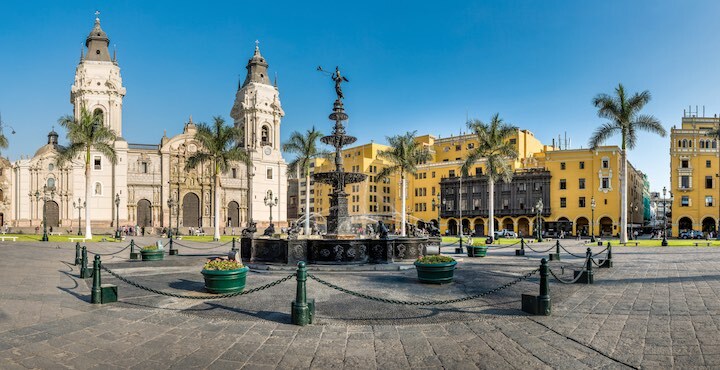 On this gentle walk around the Inca capital you will visit the Plaza de armas, the cathedral, the Qoricancha temple of the sun and perhaps, if you feel like it, the sounds and smells of the San Pedro market. Here you can find stalls full of exotic fruits, local breads and cheeses. Some of the more interesting items for sale include whole cow heads, sheeps hooves and even toad soup! Return to your hotel late afternoon. After breakfast today you will be met at your hotel and taken to the impressive site of Sacsayhuaman. Here several huge stone ramparts encircle a large amphitheater covered with grass. Ancient Inca ceremonies such as Inti Raymi are still held here and on the weekends families from Cusco often congregate to fly kites and picnic. After this you continue to the Inca water temple of Tambo Machay which is followed by a delicious picnic lunch. After lunch you take a trail through some fields that leads down to the intricately carved Inca Temple of the Moon. After this you pick up a beautifully preserved section of the royal Inca trail that takes you back into Cusco via the cobbled streets of the bohemian district of San Blas. After arriving to the main square you can browse the shops, get a coffee, or return to your hotel. This morning you will leave Cusco behind and start travelling north towards Machu Picchu. The first stop along the way will be at the fascinating circular terraces of Moray. 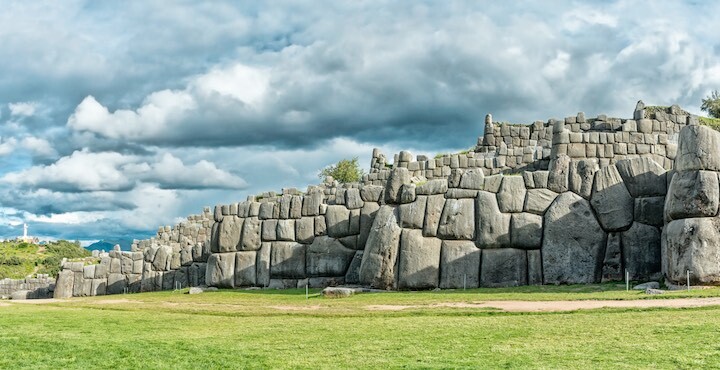 This intriguing site was built by the Incas as an innovative agricultural project that allowed them to grow a huge amount of different crops and provide food for their vast empire. Your local guide will show you around and teach you about the history of this important site. After this you will take a mainly downhill trail through fields where you may have the chance to stop and chat to local farmers tending to their crops of potatoes or corn. Along the way you break for a delicious homemade picnic at a scenic spot with excellent views of snowcapped mountains. 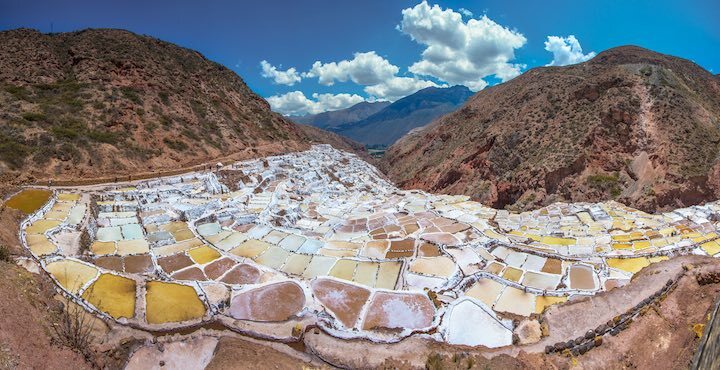 After lunch you continue the rest of the way to Maras, the spectacular salt ponds. Here local families still extract the salt by hand in the same way it has been done for centuries. The pink salt can even be purchased as a unique souvenir! After some time here you take the old track down to the Sacred Valley and to your hotel where you will stop overnight. 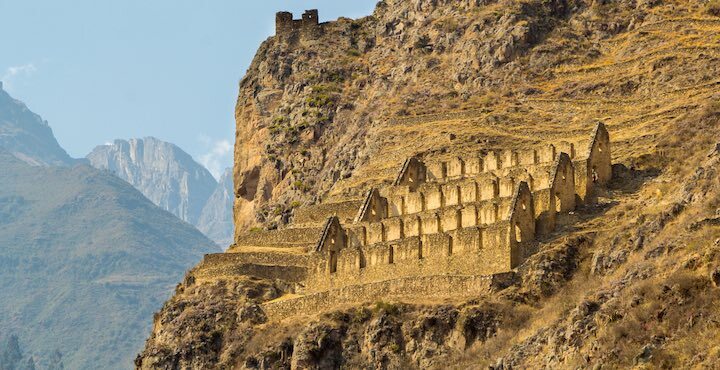 Set out from your hotel this morning with your guide to visit the old Inca fortress of Ollantaytambo, located in the hills above the town of the same name. Your guide will show you around the extensive hill top ruins and explain the importance of this site to the Incas. After this you take a short drive to the head of the trail at Pscacucho (kilometre 82). Here you will meet the porters and cooks that will be supporting you on your journey along the Inca Trail. Lunch is served here. By starting slightly later in the day you miss the crowds, leaving you to hike along the undulating trail above the Urubamba river in the afternoon. You camp beside the spectacular ruins of Llactapata (2,788m / 9,146ft). Whilst on the trail all you need to carry is a day-pack. Your luggage is carried by the porters, your tents are put up for you and your food is prepared for you. All you have to do is carry your day pack and enjoy the views! Enjoy a hearty breakfast this morning before starting the climb up the Cusichaca valley arriving to the small hamlet of Huayllabamba. This is the last inhabited place on the trail. After this the path gets a little steeper as you head up the beautiful Inca path, past hummingbirds and cloud forest until you reach your camp at Llulluchapampa (3,680m / 12,073ft). This is a pretty, grassy area that has outstanding views and you may be even see the Andean deer that often comes to feed here. Relax after a satisfying day of walking as your porters and cooks put up your tents and prepare a delicious dinner. Bed down after dinner in your sleeping bag to catch some well deserved rest before the next, and most challenging, day of walking. Today is the most challenging day of hiking but also the most exhilarating and rewarding! Start by climbing up to the spectacular Dead Woman’s Pass (4,212m / 13,819ft) the highest point of the trail before dropping into the Pacaymayu valley. From here there is another climb to the second pass of the day (3,998m/13,117ft) On the way you pass the Inca control post of Runkuracay. On a clear day there are spectacular views of the Pumahuanca mountain in the Vilcabamba range. After lunch continue on a well preserved Inca trail to Sayacmarca. This spot is located at the junction of two old Inca roads and historians still argue over its exact purpose. 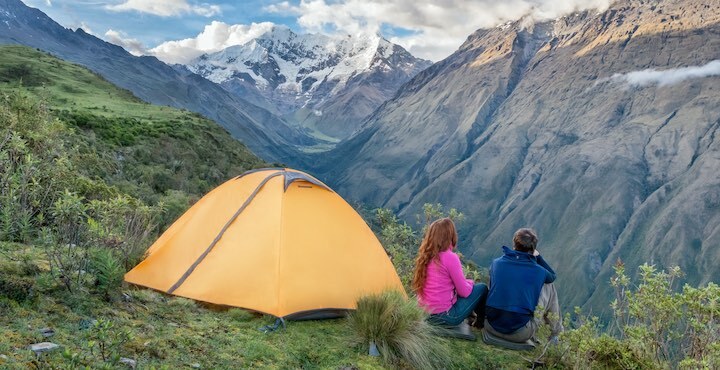 There are just a few more gentle hills going up and down before you arrive to your spectacular campsite for the night, Phuyupatamarca, which means ‘the place above the clouds’ (3,650m / 11,975ft). Enjoy a hearty dinner prepared by the cooks in this special and memorable place before resting up for the final push the following day. Day 9 - Through the Sun Gate to Machu Picchu! 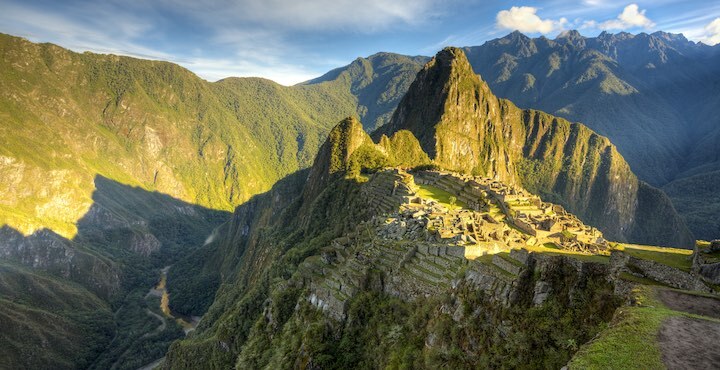 Today is the day you will finally reach the iconic site of Machu Picchu! As you wake up this morning the view out of your tent is stunning. Perhaps you will see the sun rising over the snow-capped mountains of Salkantay (6,200m/20,341ft) and Veronica (5,800m / 19,029ft). Or perhaps you will have a cloud inversion, when the clouds fill the valleys beneath your feet. From here you will say a fond farewell to your porters as you start the final stretch to Machu Picchu! Start by descending through the cloud forest on beautiful Inca stairways, to Wiñay Wayna, another intriguing ruin surrounded by swallows and orchids. Just around the hillside from here you get to the iconic Inti Punku, the gateway of the sun. As you step through the old stone gate-way, Machu Picchu appears laid out before your eyes! This is a great spot to stop for photos and to congratulate each other on the completion of your journey. After this you take the bus down to the lively town of Machu Picchu Pueblo (also known as Aguas Calientes) to check into your hotel. Enjoy the comfort of a shower and a well deserved beer (or two!) in the bar! Dinner is included at the hotel. Hidden in the Eastern Andes mountains, the Holy City of Machu Picchu is an extraordinary example of ancient Inca architecture and engineering. Built in a seemingly impossible location on the side of a jagged mountain Machu Picchu is Peru’s most iconic sight. It was re-discovered in 1911 by the American professor Hiram Bingham and declared a UNESCO World Heritage Site in 1983. This morning you will start early in order to explore the ruins before they get too busy. The guided tour takes around two hours, but you will also have ample free time to explore on your own. For those who want to walk some more you can take the hour long trail to the Sun Gate or a shorter trail to visit the Inca Bridge. Lunch is included at a restaurant on site. Eventually the time comes to take the bus back down to Aguas Calientes to catch the train back to the Sacred Valley. Watch the beautiful scenery roll by as the train slowly makes its way back along the Urubamba river. Upon arrival back to the station in Cusco you will be met and transferred back to your hotel. The rest of the evening at leisure. Day 11 - Departure or extend your trip! Check-out and private transfer from your hotel to the airport (about 30 minutes) for your return international flight. 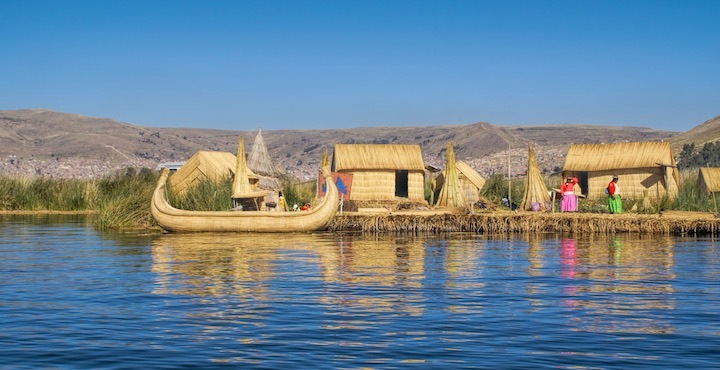 End your trip here or add on a visit to Lake Titicaca by train or bus and/or a visit to the Amazon jungle. You could even continue south into Bolivia or fly over to Iguazu Falls in Brazil! Please ask one of our specialists about creating your perfect trip!